From celebrated Helena author Richard Manning comes a delightful memoir of faith and willful ignorance, truths and secrets, rural and urban labor, and fire. “It Runs in the Family” tells of Manning’s journey from the family farm in Michigan to the fire-ravaged wilderness of Montana, and finally to a remote village in Panama to pursue the past he once vowed to leave behind. 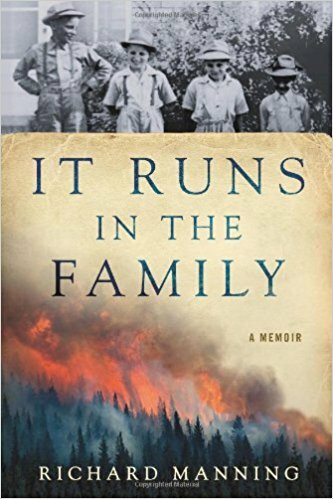 Enjoy a new copy of “It Runs in the Family” for half-price all this month at the Book Exchange, and don’t forget to log on to their Facebook page for more information and a discussion with other club members!